With humble gratitude to those who serve and sacrifice for justice, freedom and peace. Oh! Krista, this is such a beautiful, beautiful tribute. I hope you had a wonderful weekend. I love how you crafted this piece..it is beautifully layered and so striking. I’m always impressed, Krista, always! I wish you a lazy-day kind of summer to come. I had two grumpy girls this past weekend (not enough sleep I think), and so hopefully we both will get some happy kids for all of summer..how can we not? Always great to check in on your blog and visit..hope you have been well! Hallelujah and amen. 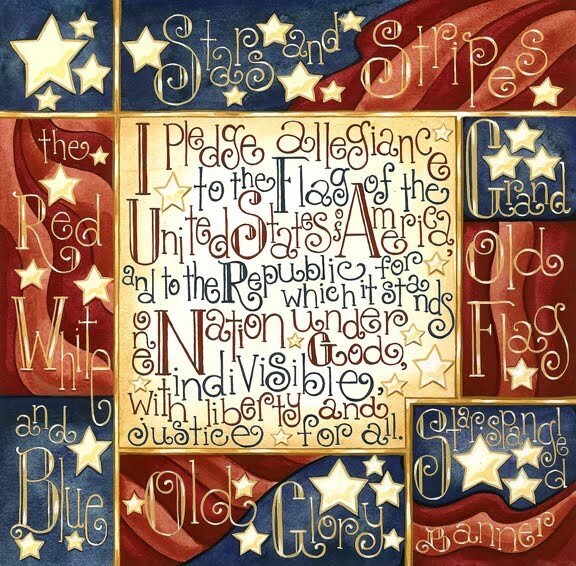 Old Glory never looked better than in your artwork! It is a beautiful tribute. I love the design of it.